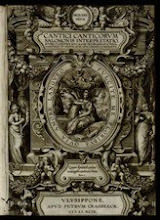 Tertúlia Bibliófila: Bauman Rare Books –June 2015 Catalogue | L'intersigne Livres anciens – Catalogue n. º 140 – "Sciences anciennes & occultes"
Bauman Rare Books –June 2015 Catalogue | L'intersigne Livres anciens – Catalogue n. º 140 – "Sciences anciennes & occultes"
4. DRAYTON, Michael. The Battaile of Agincourt. London, 1627. Tall octavo, early 20th-century full citron morocco gilft, custom full morocco pul-off case. A Bauman Rare Books editou o seu June 2015 Catalogue. 2. CONRAD, Joseph. The Works. Garden City, 1920-26. Twenty-two volumes. Octavo, contemporary full green morocco gilt. [$14,500]. 5. DICKENS, Charles. Sketches by Boz. WITH: Sketches by Boz… Second Series. London, 1836-37. Four volumes in three (as published). Octavo, early 20th-century three-quarter navy morocco gilt. [$8500]. First editions of Dickens’ first and rarest work, illustrated by George Cruikshank, lovely copies of both Series, handsomely bound by Sangorski & Sutcliffe. The sketches of urban life that make up Sketches by Boz first appeared in a variety of London magazines. “What impressed his contemporaries as much as the vivacity of his style was the way in which he was able to chronicle the lives of ‘the people’ even at the time they were first struggling to find social and economic expression” (Ackroyd, 169). “It is an irrefutable fact that the book first published by an author who subsequently attained great eminence is the most difficult to acquire in good condition. This is acutely true of Dickens’ first book” (Smith, 11). Only issue of First Series, with textual errors noted by Smith; first issue of Second Series, without the list of illustrations on page [x] and with “Vol. III.” on plates, as called for (Smith 2). Cohn 232. Gimbel A1, A4. Occasional light foxing, light wear to upper corners of Volume III only. An about-fine set, handsomely bound. 15. WORDSWORTH, William and COLERIDGE, Samuel Taylor. Lyrical Ballads, with Other Poems. London, 1800. Two volumes. Small octavo, early 20th-century full dark green morocco gilt, custom slipcase. [$15,000]. First complete edition of this touchstone of English Romanticism, containing the first appearance of Wordsworth’s landmark. Preface, defining his revolutionary theory of poetry—“his revolt against 18th-century artificiality” (PMM). Handsomely bound in full morocco-gilt by Wood. Wordsworth’s Preface became the revolutionary manifesto of the Romantic poets and is now considered to mark the beginning of the Romantic Movement in English literature. First state of Volume II, with ten lines on page 210. Volume I bound without errata and leaf of advertisement. PMM 256. Small dealer description tipped to front free endpaper. A fine copy. 22. HEMINGWAY, Ernest. Autograph letter signed. Ketchum, Idaho, October 27, 1958. Two 8-1/2 by 11 inch leaves, written on rectos only; matted and framed with portrait. [$16,500]. Fine autograph letter signed from Hemingway to a bookseller detailing an order of books he would like shipped to him, including Graham Greene’s Our Man in Havana, a biography of Steven Vincent Benet, and multiple copies of several of his own titles, two of which were out of print at this point in his life. The recipient, Mr. Palmer, has made pencil checkmarks and other notations next to the various titles, presumably as he filled the order for his customer, including noting “O.P.” next to the out-of-print titles The Deep Sleep and Hemingway’s The First Forty-Nine Stories and Torrents of Spring. Two tiny holes to center of leaf, just affecting the “p” in “published.” A near-fine autograph letter providing an intriguing glimpse of Hemingway’s literary regimen. 113. (RÉDOUTÉ, Pierre-Joseph) ROUSSEAU, Jean-Jacques. La Botanique. Paris, 1821. Large quarto (10 by 14 inches), contemporary full green calf gilt. [$16,500]. Second large quarto edition of this splendid early 19th-century botanical work, with 65 lovely stipple-engraved tissue-guarded plates by Rédouté (of flowers, fruit, etc.) printed in colors and finished by hand. A wonderful series of botanical prints after works by the celebrated 19th-century master, Pierre-Joseph Rédouté, over 40 of which show full-page images of flowers and fruit trees (the rest depicting multiple images on a single page), including familiar flowers commonly known as the crocus, tiger lily, narcissus, digitalis, snapdragon, sweet pea, Queen Anne’s lace, dandelion, and aster, and such flowering fruit trees as the pear, peach, and plum. “Rousseau’s interest in botany was awakened in 1763 or 1764, shortly after he had gone to Switzerland. Following the current fashion he made various collections of plant specimens or herbaria, two of which are known to have been given to Madame Delessert and her daughter Marguerite-Madeleine. Subsequently, the Lettres elementaires sur la botanique were written for Marguerite-Madeleine, at the request of her mother” (see Stafleu). This botanical treatise was first published in Paris in 1771, but it was in 1805 that the first edition with the plates engraved after Rédouté’s paintings was published, in folio. It was also issued that year in a quarto format; this is only the second quarto issue, followed by another in 1822. Nissen 1688. Bookplates. Interior expertly cleaned with scattered light foxing, contemporary calf binding expertly restored with spine lightly toned. A beautiful volume. 114. GOULD, John. Monograph of the Pittidae. London, 1880. Large folio (15-1/2 by 22-1/2 inches), original half green cloth, printed boards. [$22,000]. First edition of this lovely Gould monograph, with ten beautiful hand-colored plates, in original printed boards as issued. The Pittidae is a family of brilliantly colored and thrush-like insectivorous birds, mostly limited to the subtropical and tropical forests of Asia, Indonesia and Australia. “In the field of natural history the accomplishments of this man [John Gould] are truly monumental. No other ornithologist has ever exceeded (or will ever exceed) the number of Gould’s bird discoveries and the magnitude and splendor of his folio publications” (Sauer, John Gould, the Bird Man, xv). “Lithography which introduced a greater freedom of line and softer tones than had hitherto been known was ideally suited as a medium for bird pictures, the finished prints resembling watercolors with the birds set in their natural habitats often amongst plants and flowers. Gould was meticulous about accuracy both in design and coloring” (Nissen, IVB 381). “The 10 hand-colored lithographs are mostly taken from the Birds of Asia, Birds of Australia, and Birds of New Guinea” (Sitwell, 102). Originally projected for completion in four parts, the Pittidae was abandoned after Gould’s death. No title page or preliminary letterpress was issued; the title is taken from the front cover. Zimmer, 263. Armorial bookplate. Endpapers foxed, first plate only with several pinpoint spots, a few plates gently toned, coloring fine and vivid, original boards lightly rubbed at extremities. An extremely good copy, with lovely plates in excellent condition. L'intersigne Livres anciens de Alain Marchiset (libraire-expert) 150 rue de Rennes 75006 Paris tel. (0)1 45 44 24 54 apresentou igualmente o seu Catalogue n.º 140 – Sciences anciennes & Sciences occultes. Cataloguen.º 140 – "Sciences anciennes & Sciences occultes"
Aqui, como já estamos habituados, vamos encontrar obras raras e bastante curiosas. Très rare édition du XVIIe siècle, sans doute la 3e, de ce fameux traité de parfumerie. En fait il contient plusieurs traités : "celui des poudres pour les cheveux, celui des savonnettes. Suivent des chapitres sur les essences et huiles parfumées, les pommades, les eaux dentifrices, les eaux de toilette, les pastilles à brûler, les poudres et sachets odorants pour le linge". Les pp. 114 à 132 "sont entièrement consacrées au tabac : comment le réduire en poudre, le purger, le teinter, le parfumer (bergamote, musqué, ambré, etc.)". ¶ Oberlé fastes de Bacchus n°1145 (c'est ce même exemplaire Duveen vendu en 1990) – Krisvatsy p. 68 (édit. de 1693) - Wellcome II.97 - Ferschl 21. Rarissimes traités alchimiques rosicruciens. Le premier est généralement attribué à Thomas Vaughan, qui a écrit sous le pseudonyme d'Eugenius Philalèthe. Le second intitulé "Commentatio de pharmaco catholico" est attribué à Johannes de Monte- Snyder. ¶ Jouin & Descreux p.363 "Ouvrage devenu introuvable et qui renferme intégralement la doctrine secrète des frères de la Rose-Croix... Il est vraisemblable que l'abbé Sepher tenait pour auteur du Chymica Vannus le Philalèthe..." - S. de Guaita n°891 "Très mystérieux ouvrage d'Alchimie et de Philosophie Mystique publié en Mai 1666 par les Frères de la Rose-Croix: il est singulier de texte et de figures et se trouve difficilement en librairie.... Le catalogue de l'abbé Sepher attribue formellement la Chymica Vannus à Philalèthe..." - Duveen 498 "I believe Monte-Snyder to be the author of the whole work..." - Ferguson Il, 246 - Caillet 2362 - Gardner, Bibl. Rosicruc. 137. Aqui deixo estas duas sugestões bem diferentes para a vossa análise. Embora diferentes no contexto e temáticas estão bem elaborados e excelentemente documentados nos seus descritivos, pelo que, na minha opinião merecem uma leitura atenta. BOA NOITE ! MORO EM PORTO ALEGRE E TENHO ALGUMAS PRECIOSIDADES DE 1556 ATÉ 1960,ASSINATURAS DE JUSCELINO,ETC...! TENS INTERESSE OU CONHECES ALGUÉM? SERGIO.STEINER@HOTMAIL.COM PORTO ALEGRE.